This is one of the biggest roof problems and yet can easily be mistaken for a different issue. Damp patches could be blamed on just that, damp. Water marks might be blamed on rain coming through poorly sealed or old windows. However, the real culprit could be your roof. Small water marks could be the result of a leaking roof, perhaps from a crack or hole that has formed over time. If there are signs of water damage, always check your roof. A problem like this left untreated will result in a costly roof replacement. 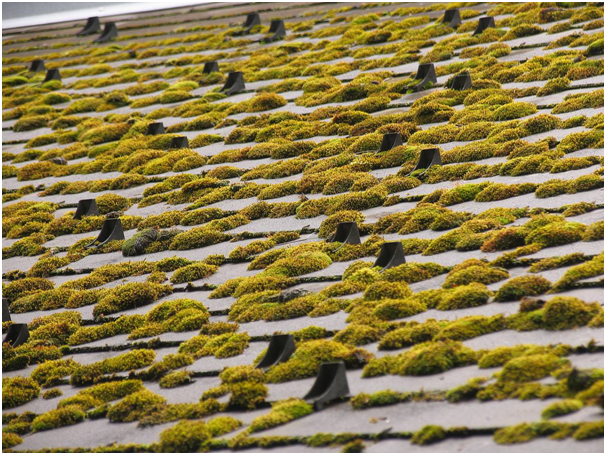 Can you see moss growing on your roof tiles? The growth of the moss could be forcing your tiles apart which will begin to let in water. Moss and water create the ideal moist conditions for mould and fungi to grow, which will cause further damage to your roof. Your roof should be straight along the ridge. If there are any signs of sagging in the middle, structural damage has occurred, and collapse could be imminent. You’ll need to take action immediately. 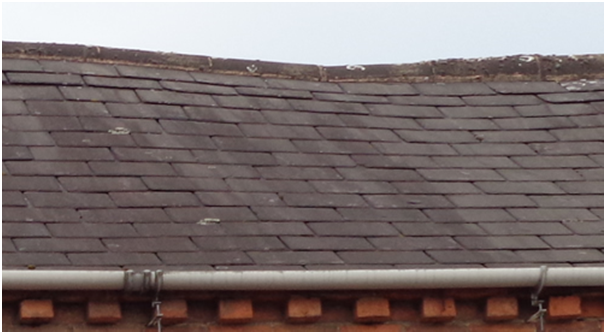 Sagging can occur due to excessive water build-up, poor installation or the use of sub-standard roofing materials. Flashing is what is used to surround anything object that protrudes form the rooftop such as chimneys and vents. It is supposed to stop water from entering the roof cavity, averting water away from seams where runoff occurs. Deterioration over time, exposure to the elements or underneath caulking drying out can all lead to your flashing not being as effective as it once was. If the flashing is loose from being improperly installed, then water seepage can occur, causing damage to your ceilings and walls.